This is the last weeks post for YOP -Year 4 as next week will be round up week and it will be accounting for the year that was. 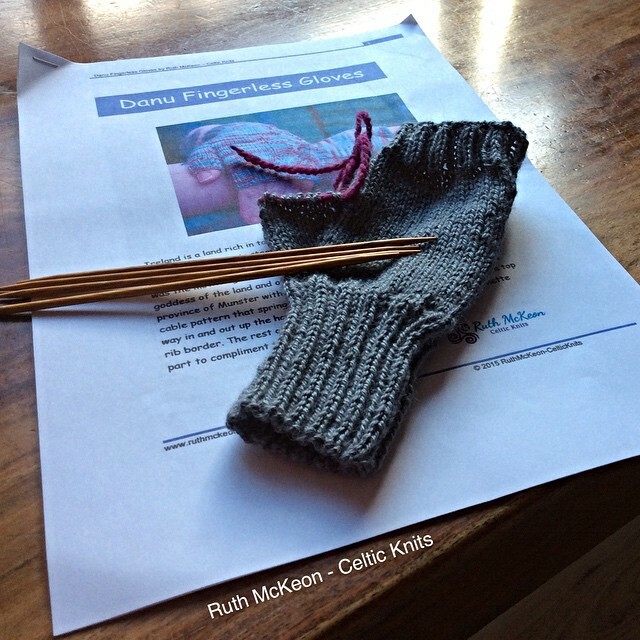 This past week though I had been attempting to knit some Danu Fingerless Gloves so I’d have them for stock for a fair at Christmas (I know I did say that didn’t I! eeek). Quite frankly they should have been finished within a day or two, they really are that quick but mid week became busy and practically no knitting time was done until Friday evening. I just had the thumb to knit which I finished up last night and I immediately cast on another pair in another size. The ribbing on this second pair is now done, see they are quick when you just get the time. I don’t have a picture of the new pair but here is the other pair, minus the thumb. I was also organising a test knit in my group which is currently running for the next couple of weeks here. This week along with working on the second pair of gloves, I’m casting on these Hulst socks which are part of a KAL in the Blue Peninsula group. 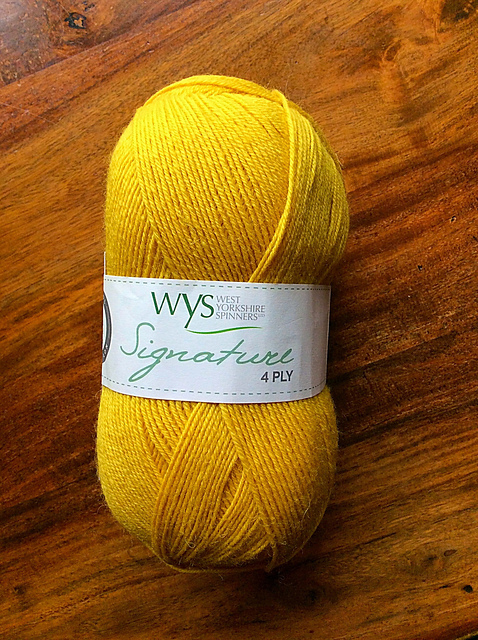 I’m using this lovely Butterscotch colourway from West Yorkshire Spinners. This project will run into YOP -Year 5 so will also become part of it. For anyone wanting to join in with the YOP Year which is beginning again at the start of July please do check out our group here. This entry was posted in Year of projects. Bookmark the permalink. Looking forward to seeing your list for next year. You always seem to get so much more done then most of us do. Love that yarn. Really looking forward to seeing everyone’s round up and then the new lists! That is one of my favourite parts also and I expect my favourites list on Ravelry to grow. Good to see you here. That is a sunny yellow. The sock pattern has great lace detailing. Thank you, it’s been a slow progress last week, I hope this weeks progress on them is bigger.